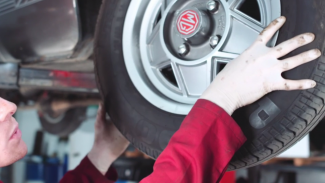 Tyre rubber deteriorates over time, and should be replaced once it gets too old. Matt and Danny explain the dating system used on modern tyres. 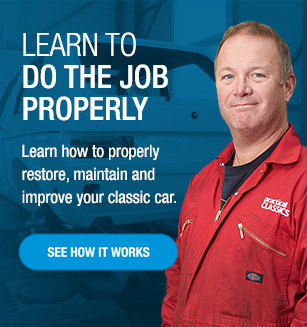 For more helpful tips and techniques, be sure to check out our MGB Service Guide course. Now that we’ve checked the components in our MGB’s engine bay, it’s time to prop the car up and look under it’s belly at the front end. 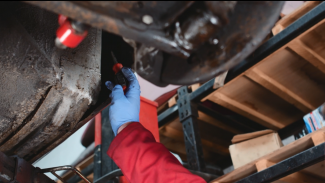 Danny and Matt take a look at everything on the front of the car, from the suspension to the steering column and even some of the body work, checking to see that all parts are undamaged and in working order.